The South Korean company has surprised us with a new line of handsets, the V family and the first phone with which LG broke the ice is V10. 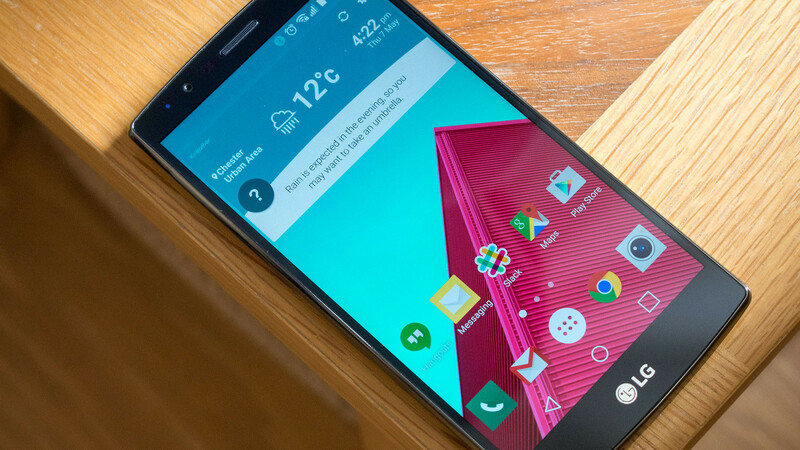 This device is larger than the LG G4 and it has a second screen, but not on the back like you’d believe. In fact, there’s a slim strip is always activated when the main screen goes to “sleep”, and it consumes only 5 percent of the battery, which is very low. However, this second screen can be turned off and it disables itself when the device is put into the pocket. What’s the purpose of this second screen? You’ll find out below. Every season, all the big brands follow a schedule of releases and their fans are anxiously waiting to get their hands on the new products. Almost a month ago, Apple has unveiled its new iPhones, while Google has presented the new Nexuses (5X and 6P). 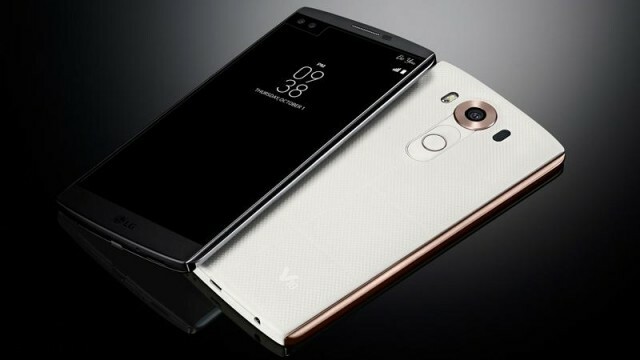 Now, it was LG’s turn to amaze us with an innovative smartphone called V10 with a “glance screen” which provides useful information such as what messages you have received in the meantime. So, if you want to check the weather, the time, or the battery, you won’t need to unlock the home screen, because you will see them displayed on the slim strip from the top of the main screen. However, when the screen is unlocked, instead of these details, you’ll have shortcuts for your favorite applications. Anyway, the team from LG came with the idea to add another screen inside the main screen because they were thinking about the users who are going on vacations and don’t want to get distracted by their phones, while they’re having fun. LG used a silicone back and stainless steel frames which are more durable and classier than the plastic frames which are painted to look like brushed metal. The V10 meets the military standards, as the “Dura Skin” silicone material is resistant to drops (MIL-STD-810G certified), but the device isn’t waterproof. The volume buttons is placed below the rear camera, likewise on the LG G4, and the fingerprint scanner is located between the two buttons. The V10 measures 159.6 x 79.3 x 8.6 mm, it weights 192 grams and the screen is sized at 5.7-inch, being a QHD IPS Quantum Display which supports a pixel density of 515 ppi. Going back to the second screen, here are the other things you can do with it. So, when you’re listening to a song, you don’t have to slide down the notification bar in order to pause or skip it. It controls zooming when accessing the camera menu, without navigating through the options and after turning on the main screen, this second screen allows you to connect to a WiFi network or to turn on the flash. It is worth mentioning that the second screen measures 2.1inch and supports a resolution of 160 x 1040 pixels. The internal specs aren’t outstanding, as LG used the previous 64bit Qualcomm MSM8992 Snapdragon 808 hexa core processor with four Cortex-A53 cores running at 1.44GHz and two Cortex-A57 cores running at 1.82GHz, which are backed by Adreno 418 graphics, but LG was very generous with the RAM capacity, which is 4GB. As for the internal memory, even if you don’t buy a microSD card which supports up to 128GB of storage, the internal memory of 64GB would be sufficient for storing many photos and videos. The V10 has a primary camera of 16MP which supports laser focus, optical image stabilization, LED flash and a 1/2.6” sensor size, being capable to shoot 4K videos at a standard 16:9 aspect ratio or a cinematic 21:9 aspect ratio. The device has not one, but a pair of front cameras which support a resolution of 5MP and according to LG, they allow you to take a 120-degree wide angle photo (selfie). Both cameras take the shots, then the built-in software stitches them up, resulting a single image. There is also a feature called Multi-View Recording with which you can simultaneously record a video using all three cameras. Moreover, you can change the recording settings, the shutter speed, the white balance etc. and the Quick Video Editor allows you to add effects or to trim your videos. The Snap Video feature makes a long video out of more mini video clips, while the Steady Record feature makes use of an electronic image stabilization. The V10 supports NFC, Wi-Fi 802.11 a/b/g/n/ac, dual-band, Wi-Fi Direct, DLNA, hotspot, Bluetooth v4.1, A2DP, LE, apt-X, Infrared and the following sensors: accelerometer, gyro, proximity, compass and color spectrum. The V10 is powered by a battery of 3,000mAh which supports quick charging capabilities (Quick Charge 2.0), which charges the device up to 50 percent in 40 minutes. The price of this interesting smartphone hasn’t been unveiled, but we know that it will firstly kit the Korean stores, then it will land in the rest of the world. Next articleiPhone 6S and iPhone 6S Plus – From Where And How To Buy Them?